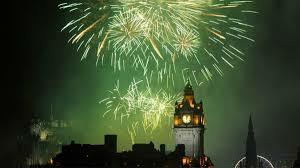 Edinburgh has been remembering the 5 of November for over 30 years with its annual fireworks display at Meadowbank Stadium being the city’s largest. However, with the stadium soon set to close its doors for redevelopment, this year’s will be its final firework show for a while. A great event for the whole family, this year’s theme is sci-fi, so make sure to hunt out your most lavish Star Wars, X-men and Iron Man costumes for the evening. Fireworks begin at 7.30pm, with pre-show entertainment from 6.30pm. Doors open at 6pm on Sunday 5 November and entry is £7.